If you’re going to be in San Diego for Comic-Con next month, here’s everything you need to know about Vikings. Even if you don’t have a ticket to the convention, you can still get in on the action. HISTORY’s VIKINGS PANEL: Friday, July 10 from 3:30-4:30 p.m., Room 6A Vikings returns to SDCC fresh from the season four set. 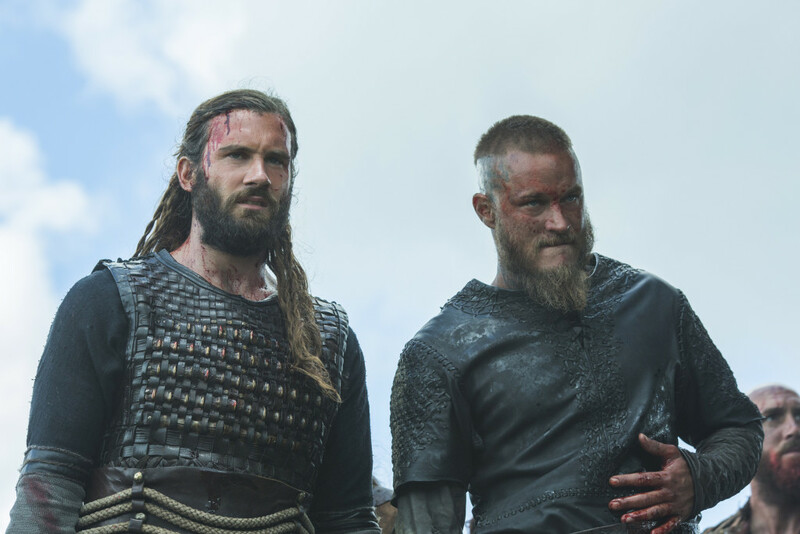 Travis Fimmel (Ragnar), Katheryn Winnick (Lagertha), Clive Standen (Rollo) and Alexander Ludwig (Bjorn) along with Michael Hirst (writer/creator) and Dirk Hoogstra (EVP & General Manager, HISTORY) will reveal an exclusive sneak peek of the new season. • Vikings Longship, driving through Downtown, Gaslamp Quarter and sailing the harbor. Custom fabrication and boat wrap will transform a popular San Diego “Seal Boat” into a Vikings Longship. The boat will offer fans free stops to select Gaslamp locations, with fans receiving a Vikings Drinking Horn at the conclusion of the ride. Exact stops TBA.